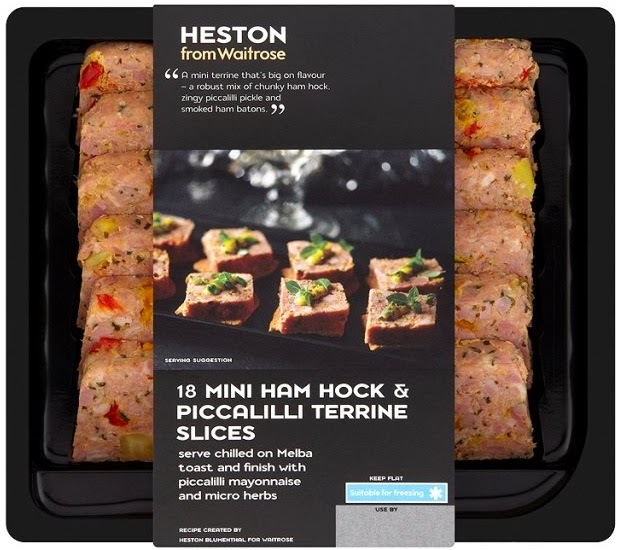 As Part 2 of my great Christmas Heston Experiment I sampled his Mini Ham Hock and Piccallili Terrine Slices. 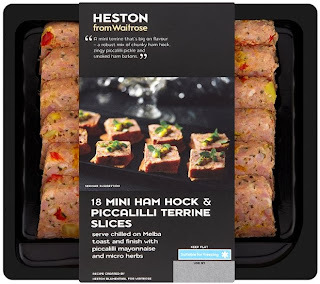 (Ham hocks were until recently a cheap and unfashionable cut of meat. Suddenly they're trendy.) And these Mini Slices were very nice. As much as I enjoy his more spicy and exotic creations, I do prefer Heston to be straightforward. These slices don't require any cooking or other preparation — I immediately and decisively disregarded the suggestion to serve them with piccallili mayonnaise and micro herbs, whatever the hell those are — and simply dished them up on pieces of decent quality bread with some salading, maybe a sliced tomato and either ordinary Hellmann's mayo or a drizzle of olive oil. Tasty, wholesome and simple. This confirms my impressions in an earlier post. 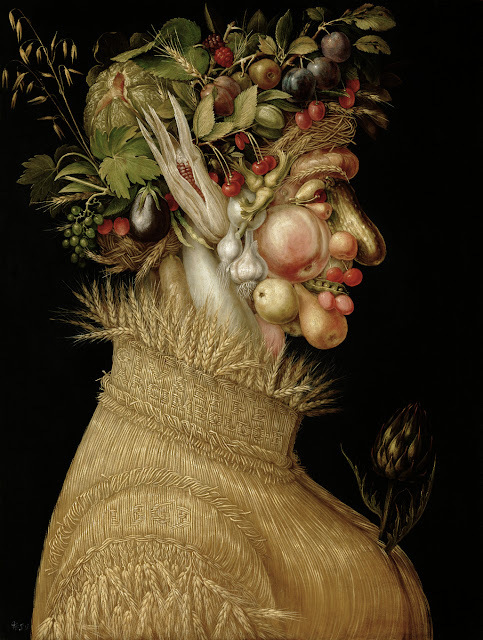 Heston is at his best when providing simple food from straightforward ingredients of high quality. I still feel sorry for the pigs, though.